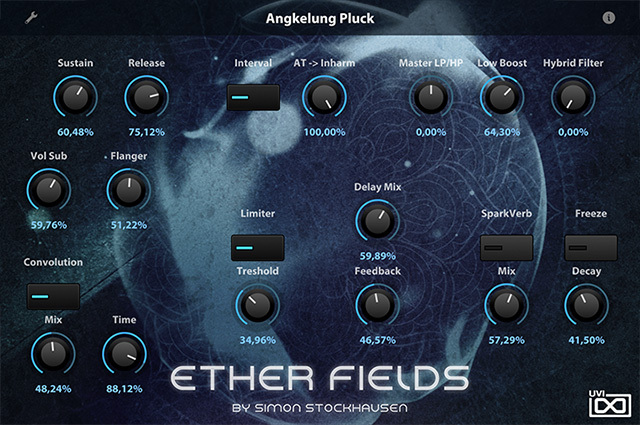 Ether Fields concentrates the energy of the cosmos through deep and atmospheric pads, lush and evolving soundscapes and haunting tones expertly realized by one the world’s most preeminent minds of sound design, Simon Stockhausen. Journey through space-time with Simon as your guide, experience waves of sound rise and fall around you, physicality begin to fade away and the light of heaven’s stars bend to reveal their ancient mysteries. 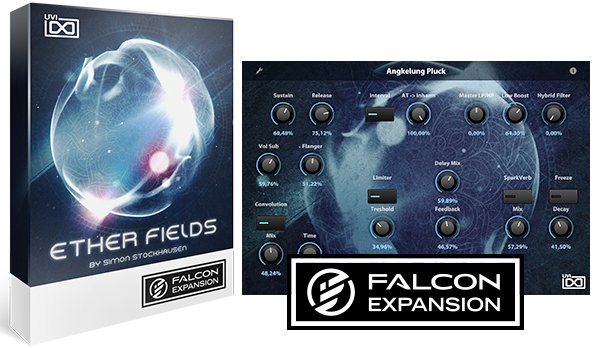 Utilizing the advanced synthesis, effects and modulation capabilities of Falcon, Ether Fields delivers 100 premier patches designed to channel the timeless energy of myth and consciousness. The incredible sound quality of Falcon can be felt throughout this premium selection of bells, granular and hybrid soundscapes, pads, patterned sound, synths and wavetables, perfect for ambient, electro, idm, new age, soundtracks and many other styles. Quickly preview and layer sounds, perform them with macro controls and make them your own by taking advantage of the limitless editing possibilities on-hand in Falcon. The Ether Fields expansion leverages the advanced synthesis capabilities and software architecture of Falcon, which sports 15 oscillators, over 80 effects and a fast and intuitive interface that adeptly handles both basic tasks and deep instrument design. 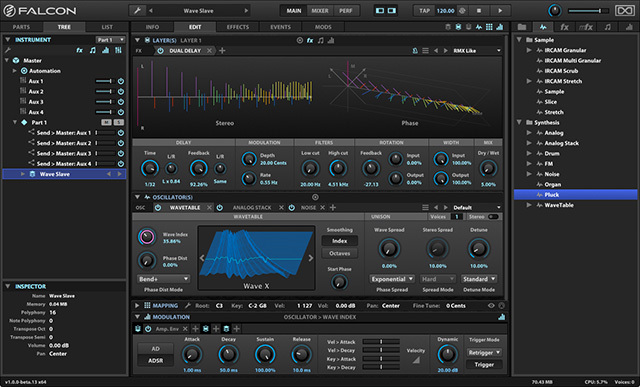 All presets have been programmed with macros which provide the user with easy access to the key parameters of each patch. These may be controlled via MIDI, OSC, host automation and Lua scripting, allowing for easy customization and expressive performance capabilities. 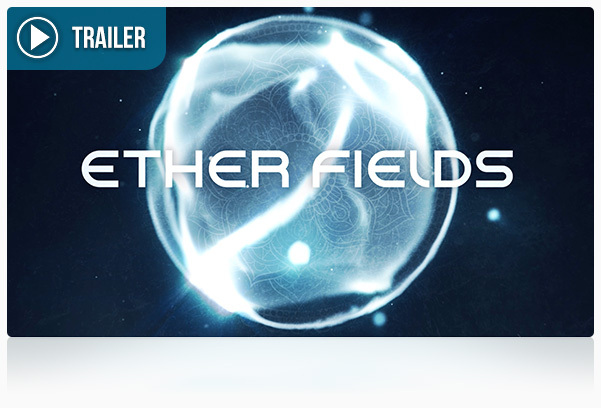 >> Download "Ether Fields Manual" >> Download "Falcon Expansions Installation Guide"